Check out the updated store section on this site. Our relationship with Cafe Press allows you the opportunity to purchase many Open Arms products. 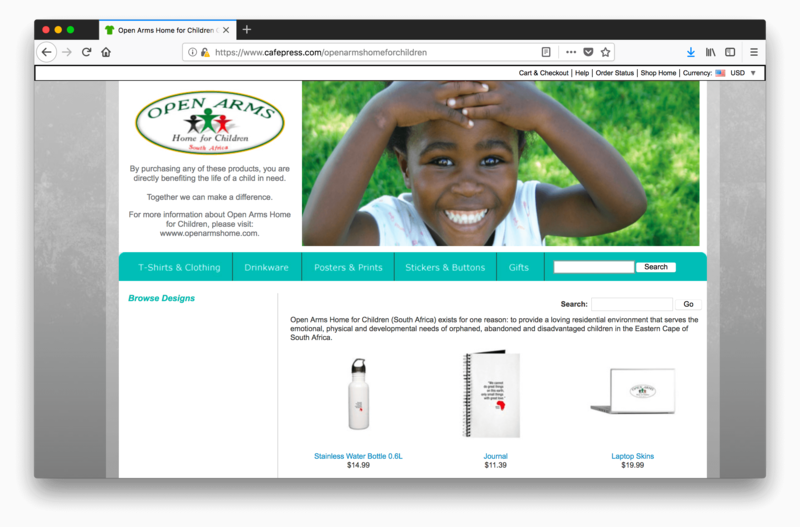 In addition to looking fashionable and helping to spread the word about Open Arms, we benefit from every purchase. Happy shopping!